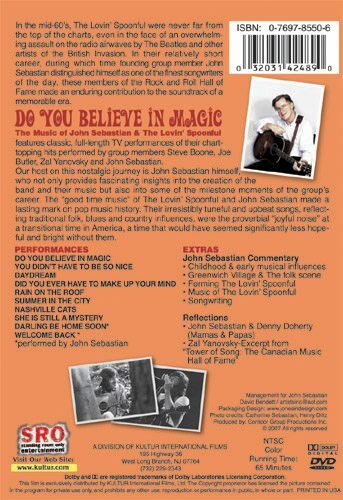 The Music of John Sebastian & The Lovin’ Spoonful features classic, full-length TV performances of their chart-topping hits performed by group members Steve Boone, Joe Butler, Zal Yanovsky and John Sebastian. 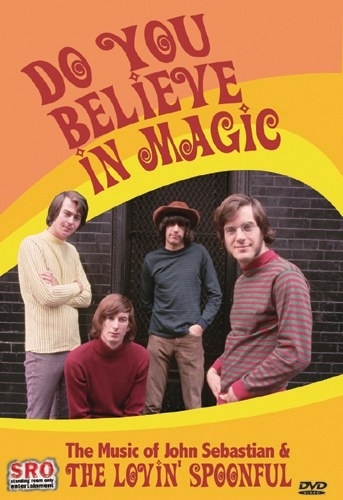 Our host on this nostalgic journey is John Sebastian himself, who not only provides fascinating insights into the creation of the band and their music but also into some of the milestone moments of the group’s career. Songlist: Do You Believe in Magic, You Didn't Have To Be So Nice, Daydream, Did You Ever Have To Make Up Your Mind, Rain On The Roof, Summer in the City, Nashville Cats, She's Still A Mystery. Also, Darling Be Home Soon and Welcome Back (Kotter) performed by John Sebastian. Also Darling Be Home Soon and Welcome Back (Kotter) performed by John Sebastian. Songwriting. Reflections: John Sebastian and Denny Doherty (Mamas and Papas) pay tribute to Zal Yanovsky. "Tower of Song" interview with Zal Yanovsky.